In every show I’ve ever loved, there has been at least one woman that has stolen my heart. And in almost every fandom with which I’ve ever been involved, the female characters have been the most controversial and divisive. Sometimes this is an incidental byproduct of competing shipping factions. Sometimes, however, the antagonism against the women almost seems intentionally cultivated by their shows. Every series in the DCTV universe has women I adore. However, to varying degrees, they also have significant problems with how they have handled these characters or their relationships. Sometimes these issues seem to feed into the shipping wars. Sometimes they are due to apparent negligence with regards to these characters’ stories. And, in at least one instance, the issue seems almost deliberate. Of the four shows, Legends of Tomorrow and Supergirl treat their women comparatively the best. I wish Legends would do more to explore their female friendships. There was an interesting dynamic between Sara and Kendra in the first season. However, Amaya’s relationships with Mick and Nate had the greater focus in the second. As for Supergirl, the relationship between Kara and Alex was a highlight of the first season. Nevertheless, it was put on the back burner in favor of other dynamics last year. Regardless, when given focus, the relationships between Kara and Alex, Alex and Maggie, Kara and Cat, and Kara and Lena have all been widely praised. This article will focus, therefore, on Arrow and Flash. While both shows have given me characters I adore, both have also left me feeling like they have at times failed their female characters. Shortly before the start of the new fall season, I decided to do a full series marathon of all four of the DCTV shows. In doing so, I tried to put my shipping preferences aside and critically analyze the characters and how the shows have handled their individual arcs and various relationships. Specifically, I wanted to consider Laurel’s characterization. In my experience, she has been the most divisive character on the show from the very beginning. Full disclosure: I have never been a fan of the Lauriver relationship on Arrow. In fact, I initially was not particularly invested in Laurel. Which is why I found my Arrow rewatch particularly interesting. From the first season, I don’t think romantic Lauriver worked, and I think it was obvious that the show runners decided as early as the beginning of the second season that they would pursue Olicity instead. I don’t disagree with this. I think that poor decisions as early as the Pilot crippled Lauriver. These issues did not exist between Oliver and Felicity. However, it was interesting to consider the writing for Laurel’s character, particularly after she was moved out of the love interest role. During the second season in particular, I was struck by how badly Laurel was sabotaged by the plot and structure of the series. In retrospect, it is not a surprise to me that she is a contentious character. What is surprising it the realization that obvious mistakes made by the writers and show runners exacerbated the rift within a fandom already at odds (perhaps unfairly) about her character. I’m not sure they could have set Laurel up to be more divisive within fandom if they’d tried. At the time of the second season, Laurel Lance was the female lead of the show, and that is often a thankless role in any series. Audiences demand a lot from female leads – and even more when said leads are the love interests of heroes we admire, identify with, or adore. Too often, they must be perfect but not too perfect. They must always support the hero, yet be willing to point out when the hero is wrong – but not too harshly. Of course, they can be brave but not too brave. Assertive but not too assertive. Heroic but not in a way that would outshine the hero. Always loving and never selfish. They must never feel too scared or too angry or too sad. Stray very far from the above demands and these women too often get torn apart. The amount of hatred I saw in fandom towards Felicity Smoak increased when she became the primary love interest and female lead, and I don’t think that’s a coincidence. Obviously, in a show like Arrow, the audience is expected to identify with the titular character the most. To sympathize with him. To root for and defend and protect. Anyone who stands against that central character will receive a certain amount of backlash for that alone. At the end of the first season, Laurel was already left out of the secret – and, thus, a good portion of the plot. This is one of the primary problems with the trope of leaving characters out of the loop “for their own good.” Ignorant of the main character’s secret, they are incidentally and by necessity removed them from a good part of the story. However, the second season moved her even further to the outskirts of the narrative. From the beginning of the second season, she was the only one who didn’t have Green Arrow’s back. In fact, at one point, he was nearly arrested when lured him into a trap. Obviously, Oliver is the undisputed hero of the story. We are supposed to be on his side and rooting for him to be out free and beating up bad guys. Thus, this already puts the audience at odds with her and demands we take his side against hers. Worse, she lured him into a trap just when he was trying to convince her that he had changed. His desire to show her he was a better person than he had been demanded even more of our sympathies. To top it all off, she helped try his mother for murder, eviscerating Moira on the stand. Oliver could not – and did not – take this as anything other than a direct betrayal. From the long, lingering shot of his shocked and hurt expression, it was clear whose side the audience was expected to be on. Then they gave Laurel an addiction plot. Her very arc revolved around her pushing others away. She isolated herself from them and, thus, the story. I think her motivations and actions made perfect sense from a character standpoint. Furthermore, I can sympathize with her and the pain she was going through. I also don’t expect any character to be perfect, and this kind of plot is not inherently improper for a character. Actually, it was an interesting parallel to Roy’s story and a nod to a famous comic arc. That said, even within this parallel, Laurel was not as tied to the plot as Roy. His connection with Thea clashed with his determination to find and help the city’s vigilante archer. Still, as a member of various fandoms over the last twenty years (a sobering thought) the subsequent response to her came as no surprise. Even outside of subjective issues like chemistry, likability, and quality of writing, all of this almost screams for a character like Felicity to seem more appealing by comparison. After all, Felicity was in on the secret, so she could be (and was) involved in every aspect of the story. She became the person our hero, Oliver, could confide in. She supported him. When she did call him out, it was with full knowledge and understanding of the situation. By contrast, Laurel yelling at Oliver for being self-centered or immature or untrustworthy always seemed unfair because we in the audience knew she didn’t know the whole story. We knew how much he sacrificed to save the city. We knew he was a superhero, not a flake. Even when Laurel was angry at Oliver for Sara’s (presumed) death, we took his side because we sympathized with his guilt and remorse. Sure, she slept with her sister’s boyfriend and that’s not a terrible noble thing to do. However, surely her ordeal was sufficient for her to atone for her share of guilt – particularly for anyone in fandom who wasn’t totally sold on Laurel’s character or that love story, anyway. And, we later discovered, she broke her oath with the League to return to town so she could watch over her family. What’s there not to love about that? Without even a single shot of relief or joy to find her long-lost sister alive, Laurel’s immediate reaction as one of anger and rejection. She lashed out at Sara and blamed her for her situation and for every bad thing that had happened in Laurel’s life. To add insult to injury, an olive branch extended at a family dinner backfired. I adore Sara, but bringing Oliver along to the dinner was insensitive at best. When Laurel realized Sara and Oliver were sleeping with each other (again), she lashed out at everybody – yelling at Oliver, Sara, and even throwing her dad’s hopes at a reconciliation with his ex-wife in his face. When Oliver took Laurel to task for her attitude and made it clear he was done caring about her, it was clear whose side the audience was supposed to be on. The narrative had already failed Laurel long before she learned Oliver’s secret and become part of the team. It had certainly failed her long before she was killed off. She had already been ostracized from every central part of the story. At odds with the hero. At odds with a badass woman we couldn’t help but love. When she eventually took up the mantle of Black Canary, she would be stepping into someone else’s shoes rather than embracing her own destiny. Through all of this, I couldn’t help but wonder if the writers were intentionally setting Laurel up to fail. Is it possible they wanted the audience to turn against her – and, if so, why? I have no inside knowledge, and so I will never know for sure. It seems an absurd suggestion, yet her mistreatment in the narrative is glaring. In viewing the series with focus particularly on her character’s story, I would be hard pressed to entirely rule it out. Arrow’s Laurel was moved to the outskirts of the narrative to her detriment. The Flash’s only two regular female characters – Iris West and Caitlin Snow – have largely been involved with the plot. They have simply all too often been denied their voice. Before I go any further, I want to make one thing abundantly clear: I absolutely adore the central figure of The Flash, Barry Allen. He is one of my favorite characters on television. I have always been a DC fan, thanks in large part to the Superman mythos. But Grant Gustin is the reason I fell in love with the Flash. While I have not always agreed with his actions, I have always – always – sympathized with his motivations. I adore Barry Allen. I recognize that The Flash is his story, and he will quite understandably be the focus of the series. Furthermore, most plots will (and probably should) tie into his story in some way. However, even in a story with a central lead, it is important for other characters to be fleshed out, their stories enriched with their own arcs. Even some arcs that are about their character development, rather than ultimately serving another character’s story. The women on the show are too often left with the fuzzy end of the narrative lollipop. Fans of Iris West were thrilled to read that she would be given more agency this year. Too often, she has been denied a voice in her own story. In the second season, Barry and Joe discussed her thoughts and feelings; she was rarely allowed to express them herself. In the third season, we saw Iris’s shock at discovering she was destined to die. However, we explored the impact of this mostly on Barry. Iris was too often a passive participant in her own story. Also, far too often, she has been denied her story. She is a well-known and respected journalist in the comics. However, while she is a reporter on the show, that arc doesn’t get much focus. This is particularly frustrating, given how organically journalism fits into superhero shows like The Flash. For examples, one need only look to shows like Supergirl or Lois and Clark: The New Adventures of Superman or even some seasons of Smallville. Frustratingly for those hoping journalism would become a bigger part of the series, the show runners indicated that they had no intention to explore that arc this season. This isn’t just unfortunate for those who wanted to see more focus on Iris in her iconic career. Ignoring this arc also denies depth to the show itself in crafting a greater world and introducing new dynamics into established formulas. This isn’t the first time Caitlin has been denied a voice in her story. Too often, she has been written to serve the plot, only to be overlooked at the point of plot resolution or character impact. One of my favorite Caitlin moments led to a perfect example of this. In the first season, she balked at the prospect of considering her friend and mentor, Harrison Wells, a possible murderer. In explaining her reluctance to Barry, she spoke of all the loss she had suffered since the particle accelerator explosion. She then brokenly confessed the last year of her life was a lie if Barry’s suspicions were true. It was a great moment for her character and terrific insight into the extent of her loss. And yet, that moment and her confession never had a payoff. While Barry and Cisco could confront Wells about his betrayal, Caitlin was noticeably not allowed the same opportunity. Time and time again, the women of The Flash have been denied their voice in their own stories. And perhaps even more shockingly – for being the only two women in every episode of the series to date – theirs is the relationship that is the least developed and explored on the show. Let me reiterate that. There are two women regularly on the show, who have appeared in every single episode to date. And they have had perhaps three one-on-one interactions in three years of show. The fact is, both have probably had almost as many scenes with characters like Linda, Cecile, Joanie, or Felicity – who is from an entirely different show – than they have had with each other. That is unconscionable. This is made worse when one considers the muddle the writers made of the Killer Frost story last year. Killer Frost worked directly against her friends in aligning with Savitar. She aided him in his efforts to kill both Cisco and Iris. When Cisco was faced with Killer Frost’s duplicity, it was heartbreaking. For years, their friendship has been established in a hundred little ways. When she tried to kill Iris, there was no similar underlying thread of a friendship betrayed. True, she did not have had an antagonistic relationship with Iris to that point. Neither were they close enough for the viewers to mourn the loss of a friend to her inner (or, for all we know, outer) darkness. Now, to be clear, if the writers address Killer Frost’s nature this season, I fully expect that they will establish that her motivations had no correlation with Caitlin’s feelings. There have been promises of a deeper friendship between Iris and Caitlin this year. This is hardly that high of a bar to hit, since Iris’s affection for brownies and Caitlin’s love for blood collection kits have received almost as much focus as the relationship between the two women. 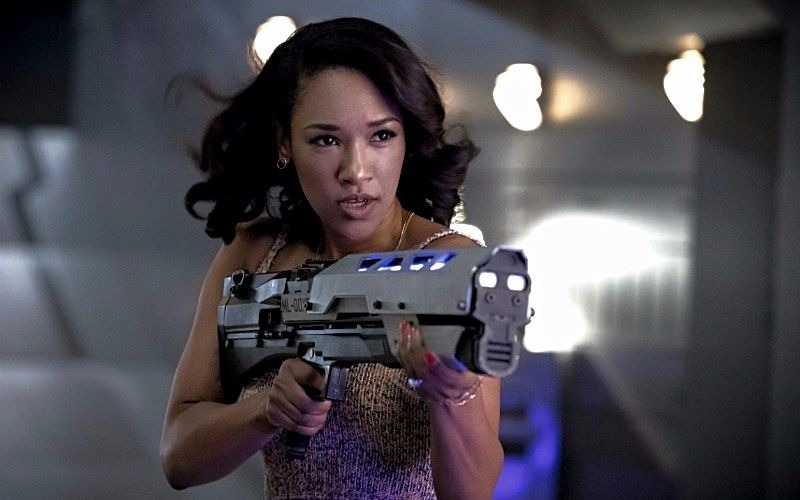 Iris was concerned about saving Caitlin last season, even at the risk to her own life. I am sure that the writers view Caitlin as reciprocating that level of concern and caring. However, the depth of that relationship should have been established well before any arc where one is instrumental in trying to kill the other. Frankly, the show should have established a relationship between the two well before its fourth year. Ultimately, the writers fail their own narrative when neglect their female characters. They lose the full impact of their own character development. And, ultimately, they undermine the emotional impact of the story they ultimately are trying to tell. After all, how can the audience fully invest in a character who is denied their own perspective or motivation? Why should they invest in an internal conflict if that struggle will immediately be forgotten and never have a payoff? And how can they mourn the loss of a friendship that they were never given in the first place? As fans, we write head canons to fill in the blanks and give our favorite characters the respect they deserve. I hope the show will rely a little less on the audience to fill in these kinds of gaps this season. Hopefully, this season, these women of DCTV will be treated better.